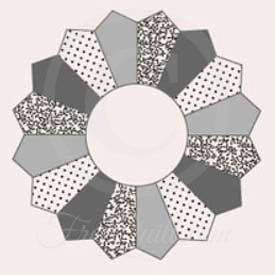 A free Dresden Plate quilt template is a great design to add to your quilt pattern collection. This pattern has been popular for 100 years, and there are several variations and methods of stitching this beautiful quilt. Dresden Plate quilts are a good way to use up scraps and can be made with a limited palette or a kaleidoscope of colors that incorporates everything in your scrap bag. Although it doesn't have rounded edges, Granny's Dresden Plate is a similar pattern. This is a simple version for beginning quilters that is beautiful and easy to sew. 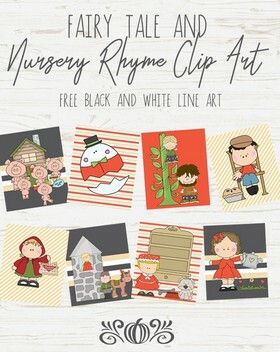 Download the templates and enlarge or reduce the size to create a block that works best with your project. 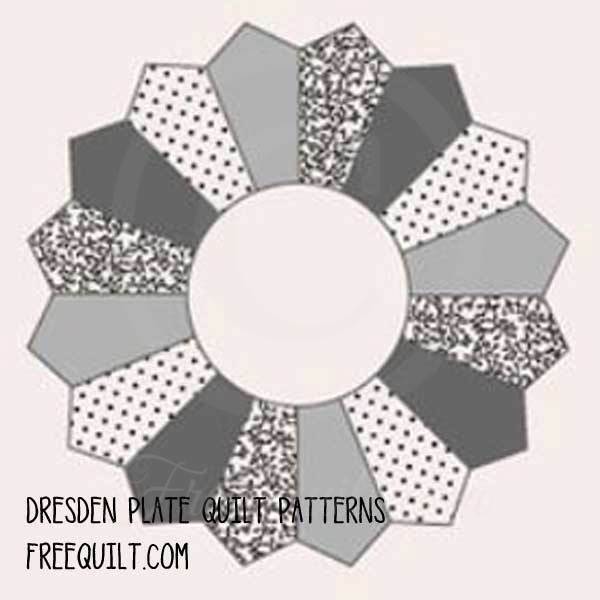 Click on image to print the 6" block of the Dresden Plate Quilt pattern. This lovely pattern is pieced and then appliquéd to a 16.5 inch square. This site offers the history of the Dresden plate plus a free pattern.